Halfway between Saint Brieuc and Paimpol on the Goëlo Coast, the Camping Bellevue campsite welcomes you in a green, natural environment. Located near the coastline alongside the GR 34 long-distance footpath, it offers a panoramic view of the bay and the Saint Quay Islands. 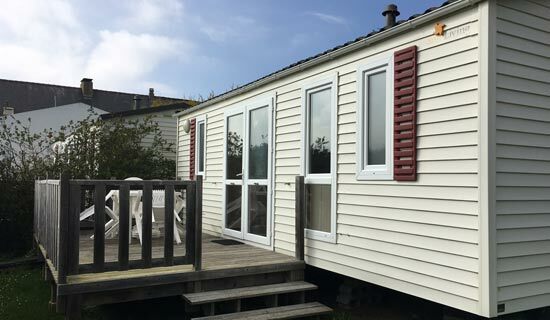 On a headland overlooking the ocean, the campsite offers many terraced pitches facing the sea for mobile homes, caravans and tents. The unspoilt, hilly site boasts exceptional panoramic views. Enjoy the heated pool with a paddling pool for little ones, or go down to the beach at the foot of the campsite for a swim in the sea. In this pleasant setting that changes with the tides and local maritime life, you’re sure to enjoy a peaceful and relaxing time. You’ll never be far from the sea here.